The 2016 Academy Awards, which will be held in late February, will inevitably see white actors and actresses take home all four of the ceremony’s acting awards. This is an undeniable fact, since all 20 nominees for the men’s and women’s awards (in both lead acting and supporting acting categories) are Caucasian. Zero minorities were nominated for the acting awards, following a pattern set by 2015’s Oscars (according to the event’s official website) wherein there were also no nominations for non-white actors and actresses. The public has responded to the lack of diversity in many different ways, including a social media backlash featuring “#oscarssowhite” as being a trending topic on social media. 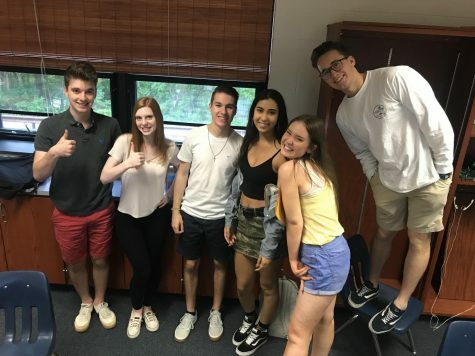 Several celebrities joined in on the frustration with the notoriously old-fashioned committee that voted on the nominees. Director Spike Lee, actor George Clooney and actress Jada Pinkett Smith (whose husband Will failed to receive a nomination for his work in “Concussion”) also proclaimed their disagreement with the lack of color. But the problem itself seems to have manifested itself deeper into Hollywood than simply the award show. Given the fact that the actors and actresses that were nominated all did exceptional work and are simply trying to progress their careers, the lack of diversity perhaps begins not at the ceremony, but at the inception of the movie being made itself. 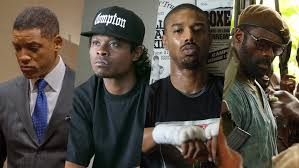 Other than August’s “Straight Outta Compton”, Michael B. Jordan’s “Creed”, and the aforementioned “Concussion”, there were not really many movies that featured leading actors or actresses of color. And movies that theoretically “should” have featured diverse casts sometimes “white-washed” the casting of these roles in the first place. Two 2015 movies in particular, “Pan” and “Aloha”, cast white actresses in roles that, due to source material and continuity respectively, were expected to go to certain ethnicities. During a year that progressed the idea of African-American leading men and women so profusely in some regards (like John Boyega’s noteworthy performance in “Star Wars: The Force Awakens”), it is sad to see such progression stifled. All of this being said, it is of course not expected that actors and actresses of color be cast in roles just because of their race. And it is not any white performer’s fault that this issue was supplanted itself into the cinematic landscape. It is irrevocably a difficult task for studios to cast their bigger roles, especially considering that certain roles are “supposed” to be played by certain races or nationalities. It is near-impossible for filmmakers, and award-show voters, to stress diversity while also reassuring audiences that skin color doesn’t matter. But this delicate subject does not excuse Hollywood from mistreating whole races of people indirectly. Going forward, movie fans can only hope that all performers are given the respect that they deserve.